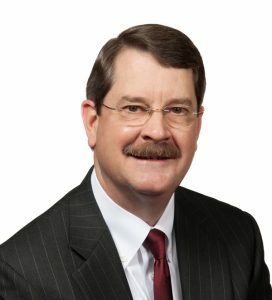 Board Spotlights: John W. Weber, Jr.
John W. Weber, Jr. graduated from Baylor University and Baylor Law School and was licensed in Civil Litigation in 1974. From there, he partnered with a number of law practices. Stemming from his passion for helping others, Weber joined on with The Center as an operating board member in 2015, and continues to praise The Center for all the work it does in the South/Central Texas region. But John’s true passion at The Center is the Ethics in Business San Antonio program. He finds ethical principles and the applications of those principles in life are vitally important to a community. That’s why John began leading the Ethics in Business San Antonio program in 2015. Weber believes that when these core principles are recognized within one’s self, it creates a better world and a more properly functioning society. Share the post "Board Spotlights: John W. Weber, Jr."